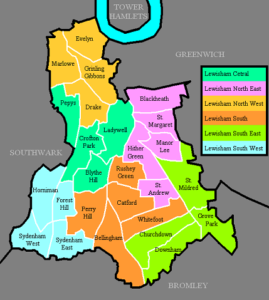 The London Borough of Lewisham is based in the South East of the Capital and has a variety of things to do for those who wish to visit the area of live there. There are some hidden treasures awaiting to be discovered in Lewisham, London and in this guide we will provide you with some places to visit during your spare time or at the weekends with the family. If the weather is great, then you can visit one of the many parks and open spaces. One popular nature reserve is a Sutcliffe Park with the river running through the greener. This park has plenty of open space and playgrounds for the children to play. Other parks to visit could be Beckenham Place Park, The Horniman Gardens, Ladywell Fields and Lewisham Park. Speaking of Horniman Gardens, the Horniman Museum is very popular and many thigs to explore, learn and have fun. Please check the official website for opening times and ticket prices. If you are a fan of Golf, then you could try the Green Mini Golf in Hither Green. This has 18 holes and has and entry fee of £25. For a place of worship, you could visit the St. Saviour’s Roman Catholic Church in Lewisham High Street. For shopping, Lewisham has a shopping mall and market famous for its fruit and veg stalls or you could pop to the Catford Centre where more shops are available to choose from.